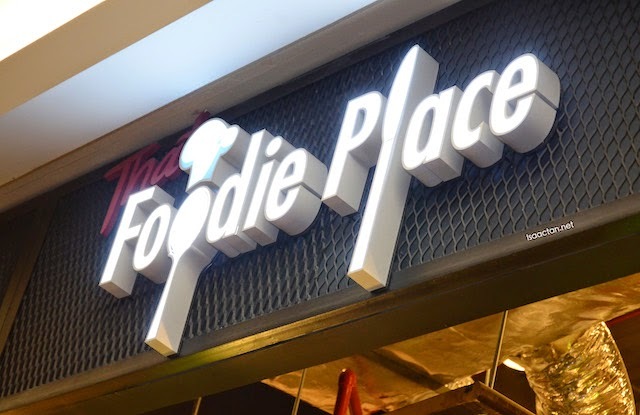 That Foodie Place, an outlet on the 3rd floor mezzanine of Midvalley Megamall got me confused for a moment. My initial thoughts upon hearing the name would be a spot where foodies congregate to chomp down on some food. To my surprise, they do not serve food there, instead they have some really unique and nice coffee and teh tarik, aptly named That Iced Coffee and That Teh Tarik. Midvalley City, Lingkaran Syed Putra, 59200 Kuala Lumpur. Open daily, currently 10am - 10pm. 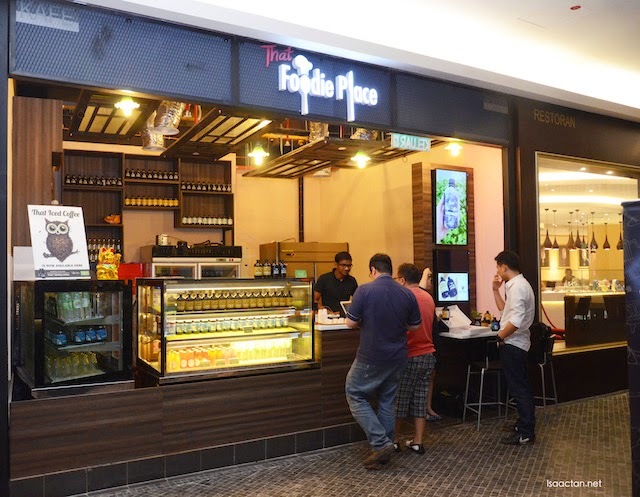 Serving two of their signature drinks, That Iced Coffee and That Teh Tarik, they did attract some customers just from the signage and location. 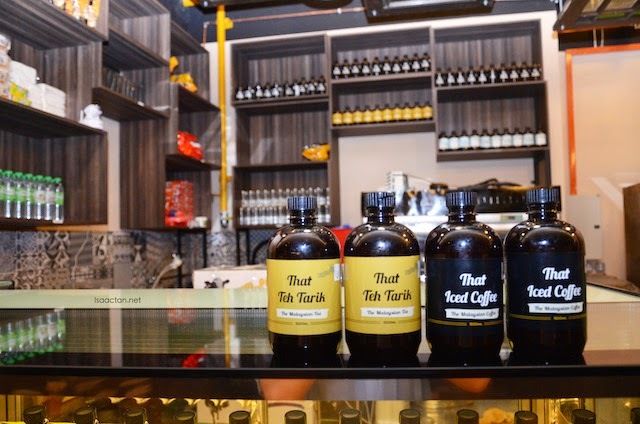 From what I understood, That Foodie Place caters mostly for takeaways, folks who are always on the go and would like to enjoy a bottle of coffee or very authentic tasting Malaysian Teh Tarik. 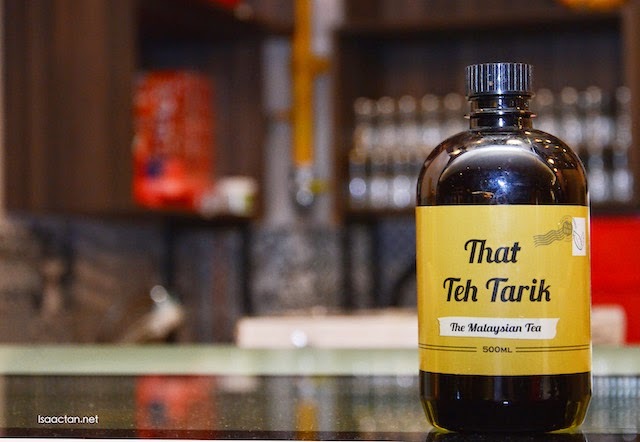 The owners proudly declared their products are fully made in Malaysia, with taste that reminded me of the old school roadside kopitiam teh tarik and iced dark coffee. 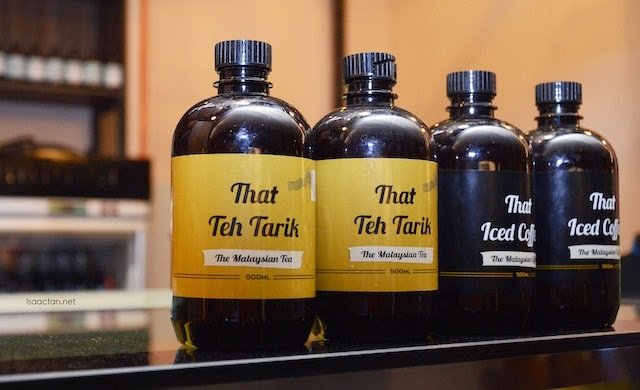 That Teh Tarik is tea, planted in Malaysia and brewed with the oldest way Malaysians make our very own "Teh Tarik". This drink has a medium sweet and milky finish. 500ml of filtered water, milk, sugar & tea, are what's inside the bottle with no food preservatives or additives added. Served chilled, with a validity of only 7 days, remember to enjoy and drink it before it expires. 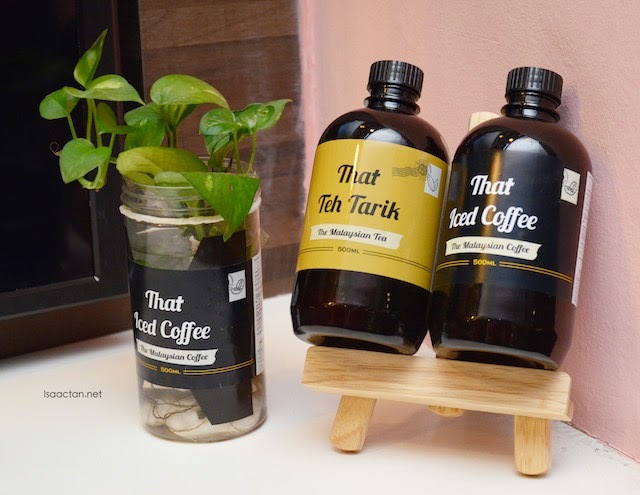 That Iced Coffee is coffee in a bottle roasted by a local roaster and carefully brewed in their manufacturing plant to ensure you have a "kao" tasting cofee. It has a sweet and smooth finish, making this a Malaysian favourite. Grab a bottle (or two) today! It's interesting to note, both That Teh Tarik and That Iced Coffee can be ordered online as well through their website. Other than the main outlet, That Foodie Place in Midvalley Megamall, both these drinks are available too at these areas listed below, so do grab a bottle or two and try them out today itself! SetiaWalk, Persiaran Wawasan, Pusat Bandar Puchong, 47160 Puchong, Selangor. Open daily, currently 7am - 11pm. No.35 Jalan SS 4C/5, Taman Rasa Sayang, Petaling Jaya, Selangor. Open daily, currently 11:30am - 10pm. GF - 31, The Main Place, Jalan USJ 21/10, Persiaran Kewajipan, 47630, Subang Jaya,Selangor. L2-139, Gateway @KLIA2, Terminal KLIA2, KL International Airport, Jalan KLIA 2/1, Sepang, 64000 Selangor. LG 16, Lower Ground Floor, DPULZE Shopping Centre, Persiaran Multimedia, 63000 Cyberjaya, Selangor. G13-A, D7 by YTL, Sentul East, Jalan Sentul, 51000 Kuala Lumpur. Open daily, currently 930am - 8pm. The Intermark, 348 Jalan Tun Razak, 50400 Kuala Lumpur. 700-B19, Basement Level, Cheras Sentral Shopping Mall, Jalan Cheras KM 10, 56000 Kuala Lumpur.